New prison under constructon at Fort Madison. 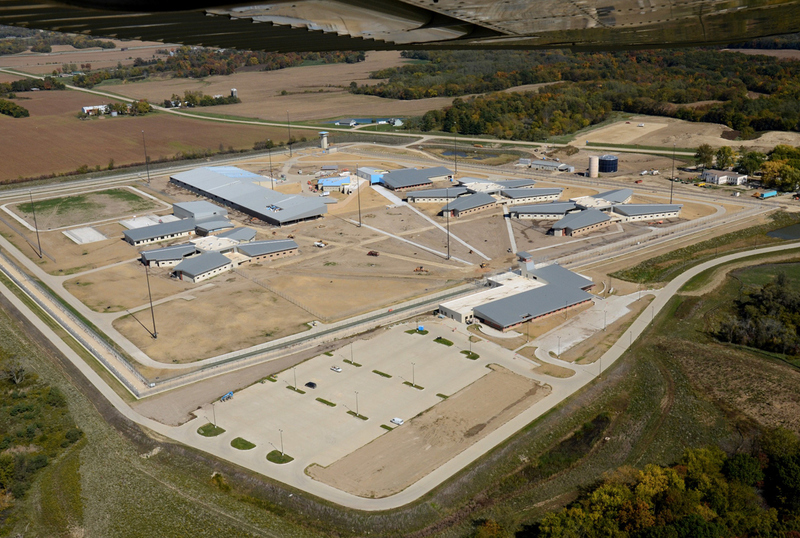 About a dozen state lawmakers spent Friday in Fort Madison, touring the current Iowa State Penitentiary and its still empty replacement. Senator Tom Courtney, a Democrat from Burlington, says he’s frustrated with the delay in opening the new prison. “I was here, I spoke at the grand opening of this prison a year and a half ago and this prison is still empty,” Courtney said. “A year and a half ago…what’s going on?” Representative Bobby Kaufmann, a Republican from Wilton, is among those looking for answers to Courtney’s question. Kaufmann heads the House Government Oversight Committee which is charged with looking into the delay. Kaufmann says three basic questions must be answered. “Why isn’t it open, what’s it going to take to get it open, and what’s the reason it took so much longer than we initially anticipated,” Kaufmann said. The first two questions were discussed openly during Friday’s tour. The prison’s deputy warden, Mark Roberts, said the initial delay resulted from problems with the geothermal heating and cooling system. That issue has been resolved, but now there’s a problem with the ventilation system in case of a fire. “The problem is… the design of the building did not allow for enough fresh air intake,” Roberts said. Once the ventilation system is addressed, Roberts anticipates he could have inmates in the new facility within 60 days. But, he could not say why the problems occurred in the first place. The state is considering legal action against some of the companies involved. Kaufman expects to hold more hearings on the topic in the coming weeks. Iowa Department of Corrections director John Baldwin told lawmakers this week he’s “embarrassed” by the situation. 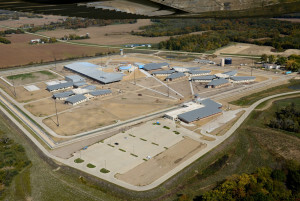 Prisoners were to be transferred out of the 176-year-old maximum security facility in Fort Madison and into the new prison nearby last March, but now Baldwin predicts it won’t happen until sometime this summer.